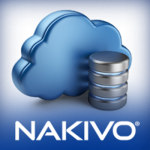 Nakivo 7.4 beta registration is opened; this is a chance to join, evaluate and provide feedback testing new features and improvements. 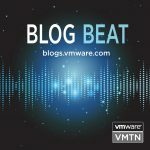 One of the features that I can’t wait to see in this version is the automated vm failover, that speed up the recovery process automating the VM restore and creating rules that could be applied to restored workload. From Hyper-V side, finally Instant VM Recovery and Screenshot Verification are available for Hyper-V. 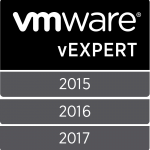 This feature alignment, already seen in vSphere environment(and discussed here) could be successful for Hyper-V data center as well. Instant File recovery to source is another key feature that improve restore time, reverting files into their previous location. From cloud side, the Enhanced AWS EC2 Instance Backup can save 1000 recovery points keeping the EC2 instance data on-premise. This is another great improvement that could really save your workload when you’re in trouble with cloud provider (loosing access credentials). In Microsoft SQL environments, the truncation of Log files and the instant recovery of SQL server object solves efficiency and RTO problem in a lot of Tier-1 applications. Last but not least, this new version will roll out other important feature like:Bandwidth Throttling, Global Search, Built-in Chat with Technical Support. 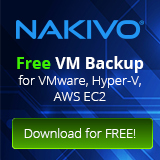 This is only a preannouncement, because beta test will be live in few weeks… in the meantime, if you’re interested, you can register here: https://www.nakivo.com/resources/releases/v7.4/.